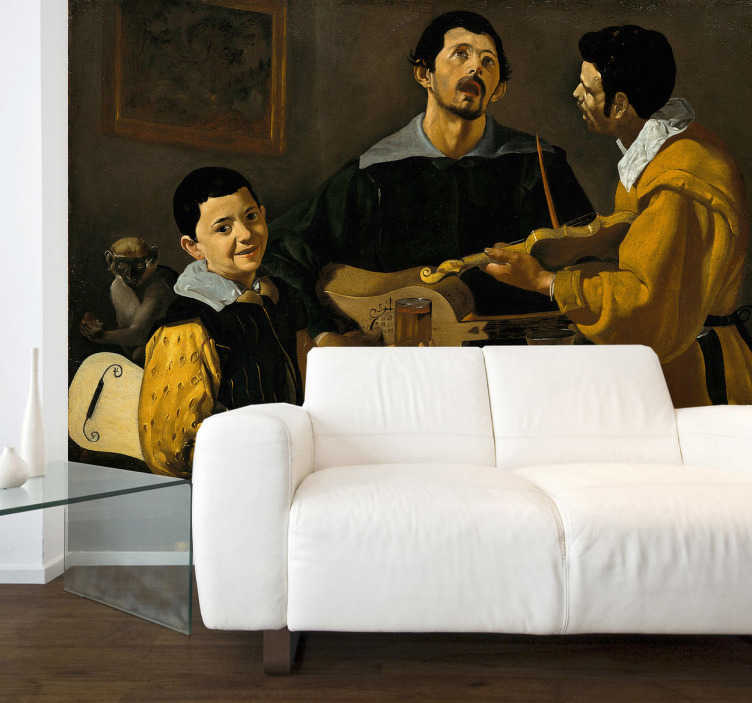 An adhesive wall mural perfect for art lovers everywhere, this wall vinyl features one of the earliest of the celebrated Spanish painter's works The Three Musicians (1599-1600). In the painting, three young men are gathered around a table eating, drinking and playing music. A perfect sticker for the living room of anyone who appreciates fine art and available in a variety of different sizes.